When we think of waterfront property in South Florida, we typically think of canal, bay and oceanfront properties. But for the interior cities in Miami-Dade County like Doral, waterfront properties are primarily situated on lakefront lots. Most lakes are created when neighborhoods are developed and offer tranquil surroundings for the residents who are lucky enough to call these beautiful properties home. As big as many Doral single-family homes, this gorgeous end-unit townhouse encompasses 2,700 square feet and has four bedrooms and three baths. The Reserve at Doral has a traditionally updated Bermuda-style architecture with gorgeous tropical landscaping all around. The details are numerous with an open floor plan that houses a huge kitchen with tons of granite counter tops, stainless steel appliances, custom cabinets, and a raised breakfast bar. The large master suite is located on the second floor and features an elegant veranda overlooking the peaceful lake. Other high-end finishes include a mix of hardwood and marble flooring (even in the garage) and arched doorways. A nice bonus with this listing is that the residence is listed fully furnished with professional interior designs. The Reserve at Doral offers residents full use of the communities such as a wonderful club house with fitness center, a resort-style outdoor pool, privacy entry gate and more. 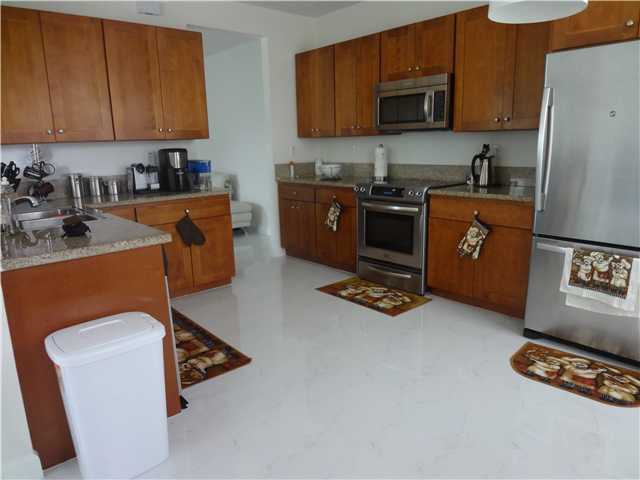 This end-unit townhouse-style condominium residence features four bedrooms and three baths under 2,688 square feet. Built in 2011, it offers beautiful lake views from the rear balconies and side windows. A nice feature in the layout is the large kitchen with all of the high-end finishes expected like granite counter tops with a raised breakfast bar, stainless steel appliances and custom built cabinetry along with a small den or home office situated just off the kitchen. The large master suite with spa-like bath is located on the first floor with three other bedrooms upstairs. With hardwood and tile floors, this is a spectacular home in a very well sought after neighborhood in Doral. At just under 2,300 square feet, this three-bedroom and three-bath townhouse is situated on the corner and features extra windows that let in tons of natural light. The all-white interior includes a beautiful all white kitchen with tons of counter and cabinet space. An upstairs loft looks over the entry way more wide open space. 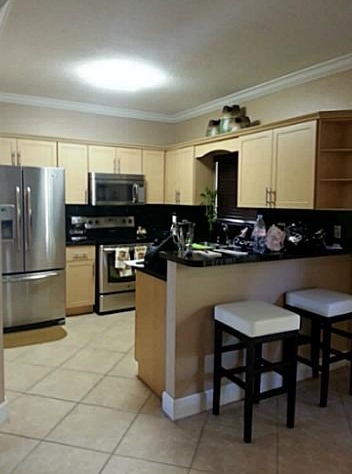 In addition to the townhouse amenities, Doral Isles has a great clubhouse with enormous outdoor pool and play area. This property is perfect for small families and those wanting a second or vacation home. 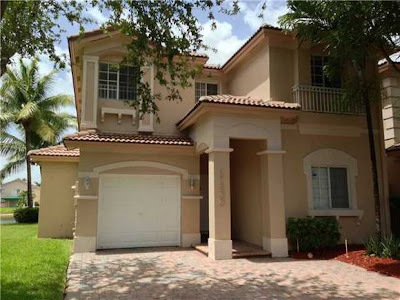 This is another Doral Isles townhouse property with perfect lake views. Featuring a large kitchen with granite counter tops and tons of custom-designed cabinetry, the townhouse also features four bedrooms and two baths. Doral Isles is a premiere Doral community and offers tons of amenities including a wonderful resort-style swimming pool, children’s play area, tennis courts, a modern and large club house and so much more. Built in 1998, this townhouse is just waiting for new owners to give it the TLC it needs. Built in 2008, this townhouse at the Reserve at Doral is situated in a perfect spot away from the traffic of the main arteries with beautiful lake views. The kitchen offers granite counter tops, stainless steel appliances and custom cabinetry. As one of the most desirable neighborhoods in Doral, The Reserve features private entry gates, a wonderful club house, state of the art fitness area, pool and so much more. This property is an excellent investment as it has a lease in place. 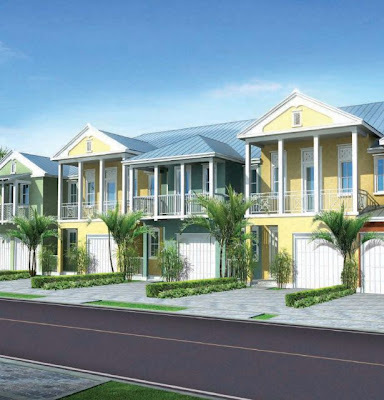 Rental rates for similar Doral rentals at the Reserve at Doral range from $2,300 to $2,600 per month. Doral real estate offers a different approach to waterfront property in South Florida. Developers create the relaxed and peaceful atmosphere by building homes around neighborhood lakefronts. In Doral, there are so many options for waterfront condos with list prices starting in the upper-$100s and climbing to the mid-$500s as noted above. Appealing to many buyers, these condominiums and townhouses are wonderful investments for primary and vacation homes. Awesomely written.. I must admit that the price range is quite affordable.